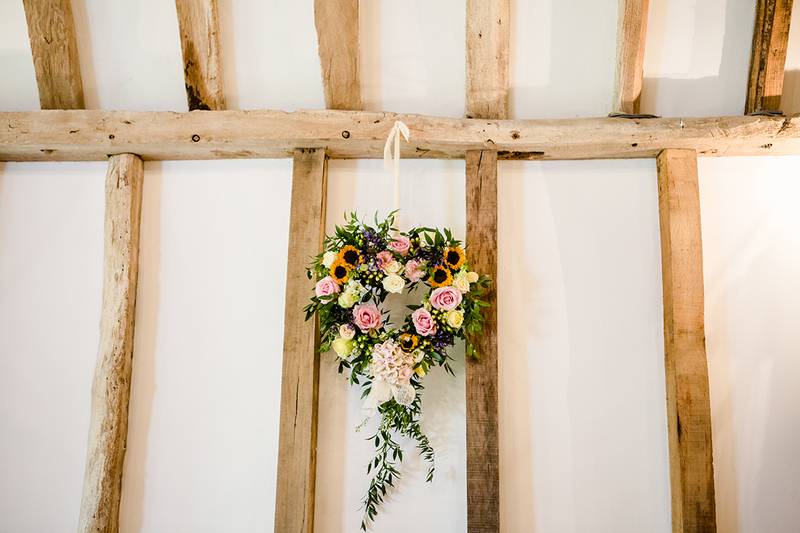 We love spring weddings here at Clock Barn. The gardens are bursting into life, the days are longer and love is definitely in the air! 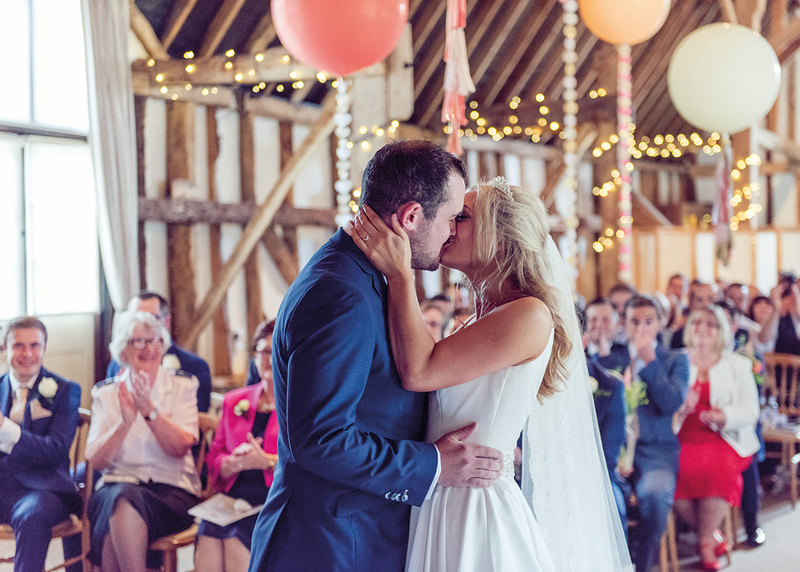 Your wedding ceremony and wedding vows have to be the highlight of your day with us so today we’re sharing some of our favourite spring wedding ideas for decorations. Which ones will you choose? Large decorations made from blossom filled branches on either side of the aisle or registrar’s table plus more blossom on the registrar’s table itself. 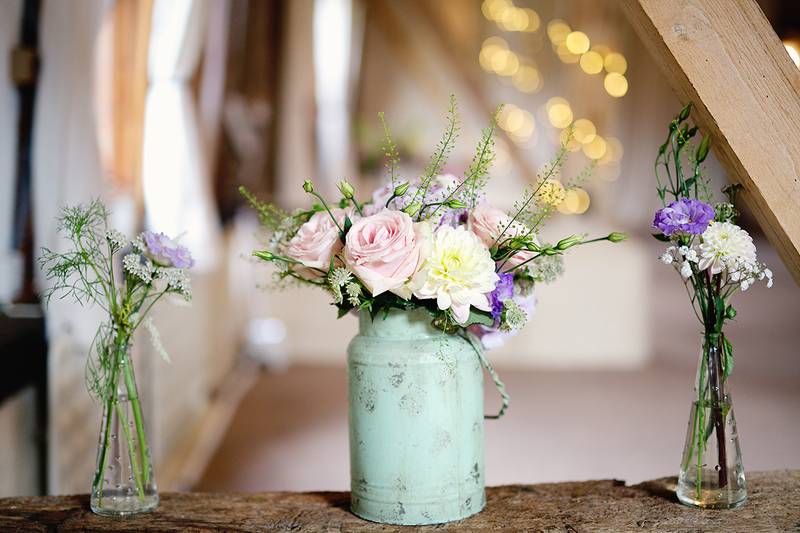 Big arrangements in rustic containers such as oversized milk churns or stand your displays on wooden crates. Rustic heart shaped floral wreaths hung behind the registrar’s table. Lots of jam jars or painted tins filled with spring flowers on the table and on windowsills. You could also use wood slices to give extra height. 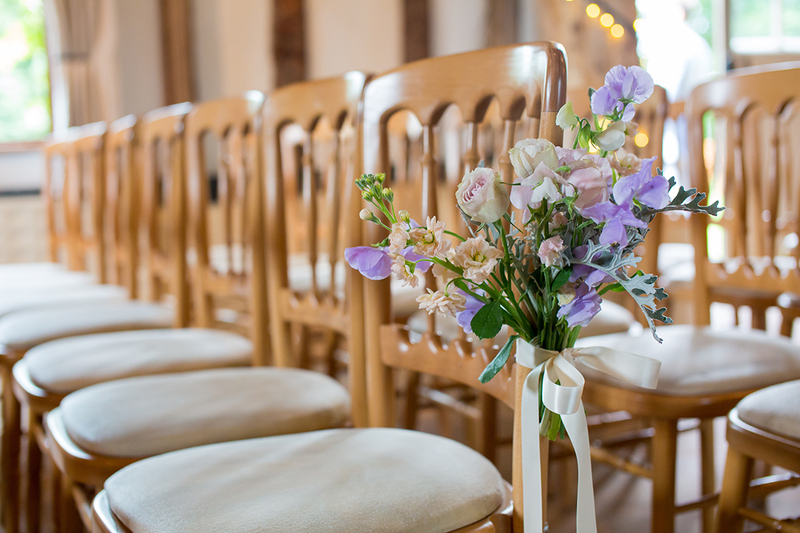 Sweet posies of spring flowers tied to the chairs that line the aisle. A ‘long and low’ floral garland along the length of the registrar’s table. 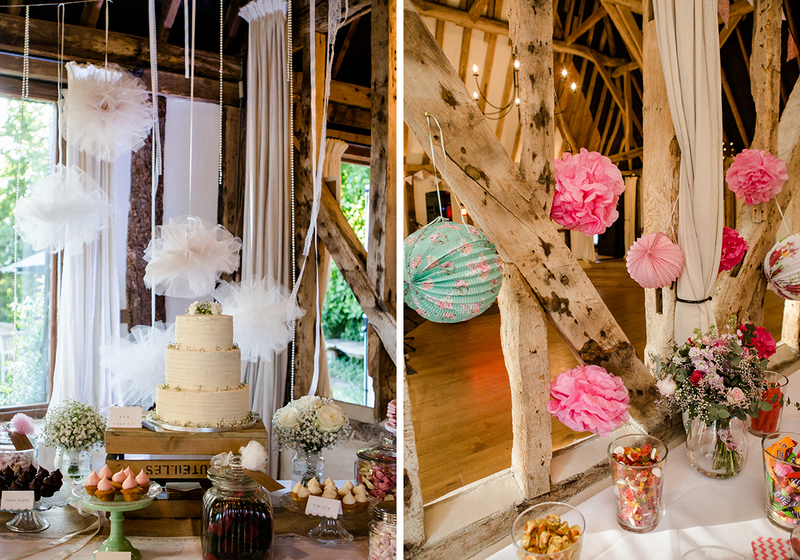 Tassel garlands are look amazing when they’re hung behind the registrar’s table and you can certainly make these yourself in advance. Big balloons bring a real sense of fun to your wedding ceremony and they’re a super easy way to create impact. Faux candles in lanterns are a really elegant option. Use them to line the aisle and surround your ceremony with romantic, soft light. An ornate mirror in a frame makes a unique focal point in your ceremony. 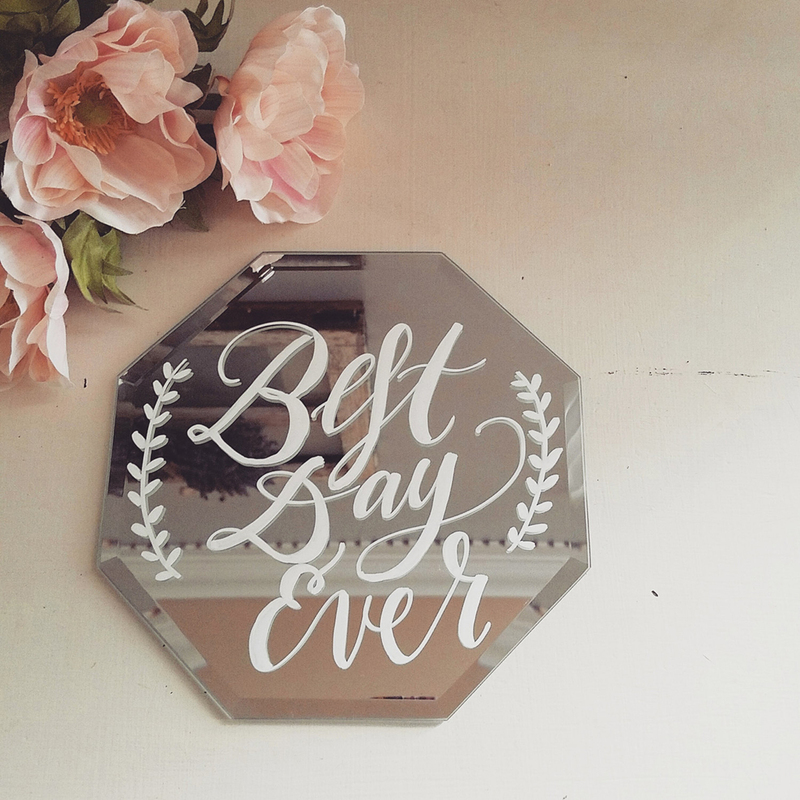 Why not add your favourite romantic quote in calligraphy to the mirror? Paper pom poms and pinwheels are still so popular for decorations and with good reason. 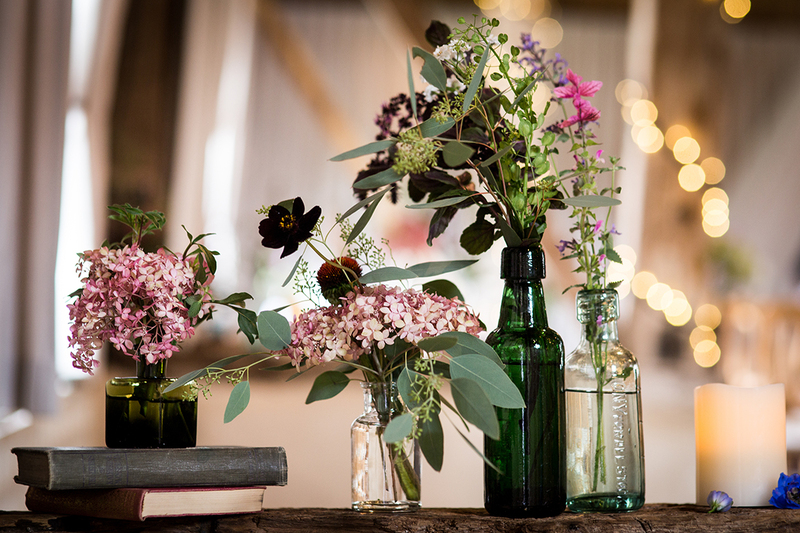 They’re also perfect for barn weddings and you can find the ideal colours to suit your theme. 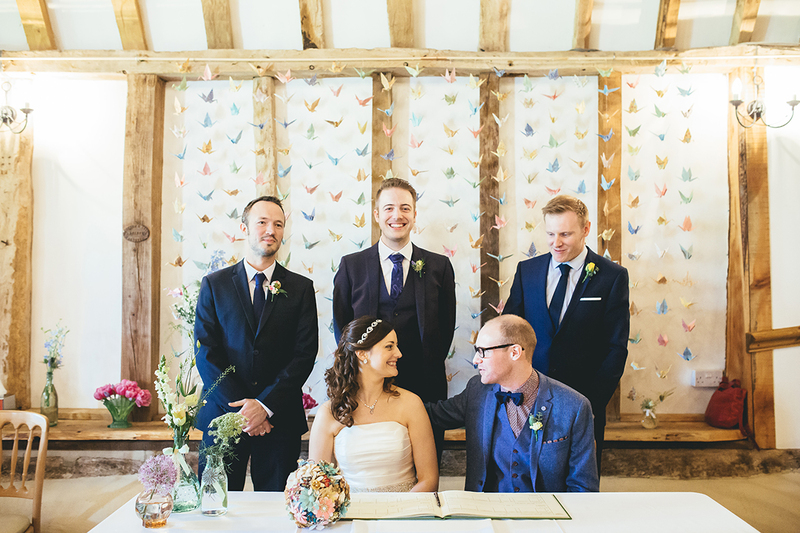 If you’d like a project then why not make origami paper cranes for your ceremony? Strung up and hung these look truly amazing. 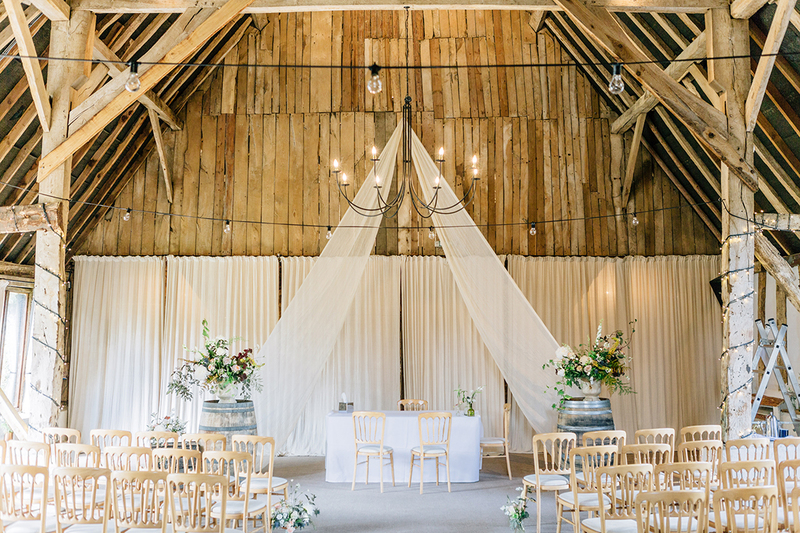 Bunting or fabric drapes are brilliant in our barn. They bring a real sense of celebration to your wedding ceremony! 1. Large decorations might seem expensive but we can move them for you so they’ll also decorate your wedding breakfast too. 2. Hiring large props might be a most cost-effective option than buying everything yourself. 3. 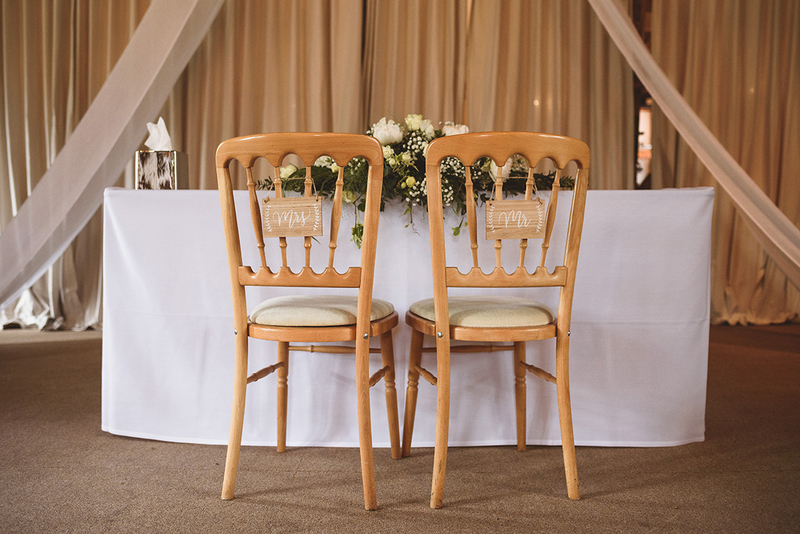 Think about the focal points – which way will guests be facing during your ceremony and where will they arrive? Decorations placed in view will have maximum impact. 4. Take inspiration from our previous brides! 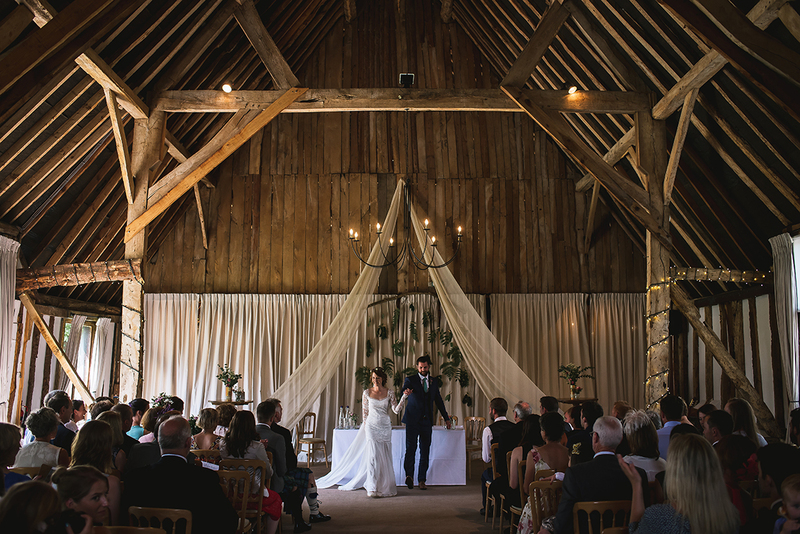 We’re very happy to show you photos of the barn all dressed for spring weddings. 5. 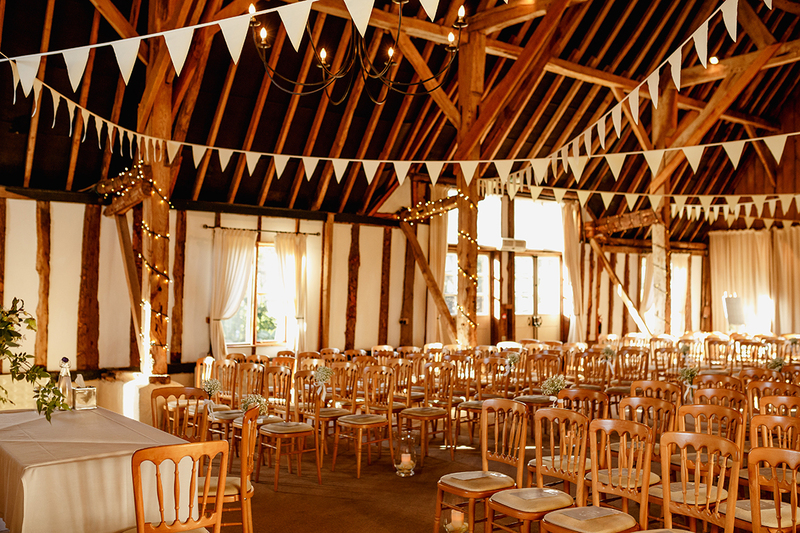 Remember that there are always fairy lights in the barn and our bunting is available too!